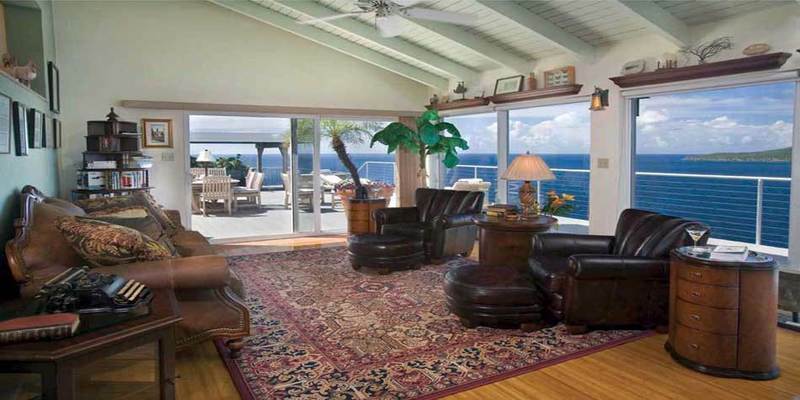 Each of the 3 bedrooms has dramatic ocean views. The upper bedroom features a king size sleigh bed with a Tempur-Pedic mattress, real bamboo floors and a vaulted ceiling. The lower bedroom has a king size Ernest Hemingway bed with an 18' thick Serta pillow top mattress. Floors are French terra cotta tiles. The third bedroom is situated in a separate pavilion in the courtyard. It features a California king size bed (4' longer) with Serta pillow top mattress. It has a massive glass and pebble bathroom and shower. Each bedroom has LCD TV's, satellite with all the premium channels, air-conditioning in all bedrooms, and our course, dramatic ocean views. Three luxurious bedrooms, each with private bathroom. One features a California king, the other two, king size beds. - Flat screen TV in all bedrooms with satelitte TV (200+ channel including premium movies channels). - DVD’s in all bedrooms. - Bose sound system plus four Bose outdoor speakers in the pool courtyard. - A/C in each of the three luxurious ocean view bedrooms. - Extensive and very eclectic book library. - DVD movie collection (classics and new movies). - Binoculars 7 X 50. - Outdoor lounge furniture for the private villa swimming pool. - Viking 41″ outdoor gas grill with side burners. - 20KW generator for uninterrupted electrical power. - Ceiling fans located throughout. - A safe for valuables. - Clothes washer and dryer. - Three Hair dryers, one curling iron, one set of steam rollers. - Viking professional gourmet gas stove with indoor grilling. - 48″ Sub-Zero stainless steel side by side refrigerator/freezer with ice maker and water dispenser. - Coffee maker and bean grinder. - Complete set of quality pots, pans, dishes, cutlery, glasses. - Blender and electric mixer. 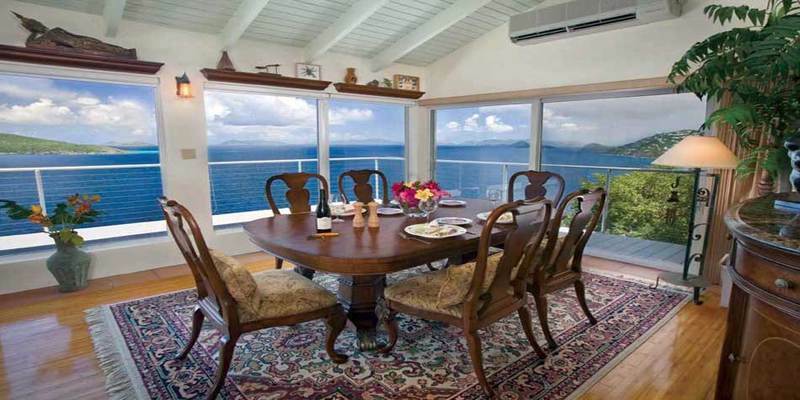 - Villa Papillon is situated within a small, exclusive, gated neighborhood on the north side of St. Thomas. will be glad to assist you in any way possible. The closest St Thomas beach is Magen’s Bay (rated by National Geographic as one of the worlds ten best beaches!) which is located 5 minutes from Villa Papillon by car. Mahogany Run Golf Course, is only 9 minutes away. You can see the spectacular 14th hole from the deck of Villa Papillon.